Canon originally introduced their 35mm f1.4 L in the late 90s–and today we finally get its replacement. 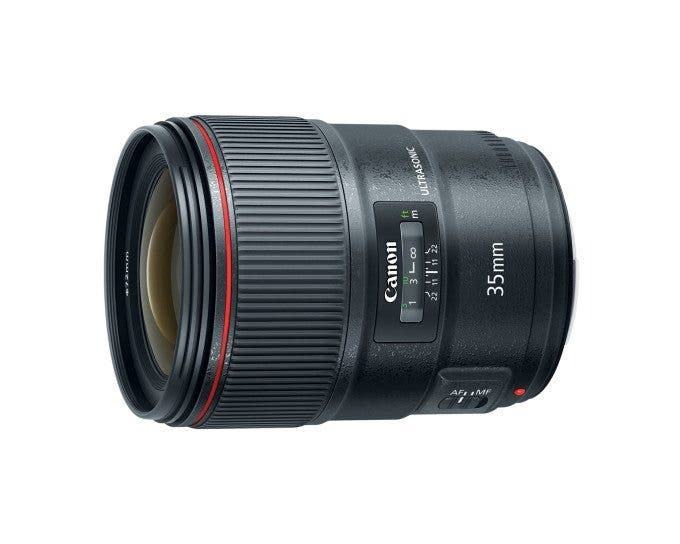 The Canon 35mm f1.4 L II USM is the company’s latest update to their lineup of EF mount lenses and this time around, the lens is weather sealed, though Canon suggests using a UV filter to fully complete the sealing. It also features a new lens construction that we find very interesting. The Canon 35mm f1.4 L II USM incorporates what are known as BR lens optics. They’re designed to refract blue light and reduce chromatic aberration and other problems. 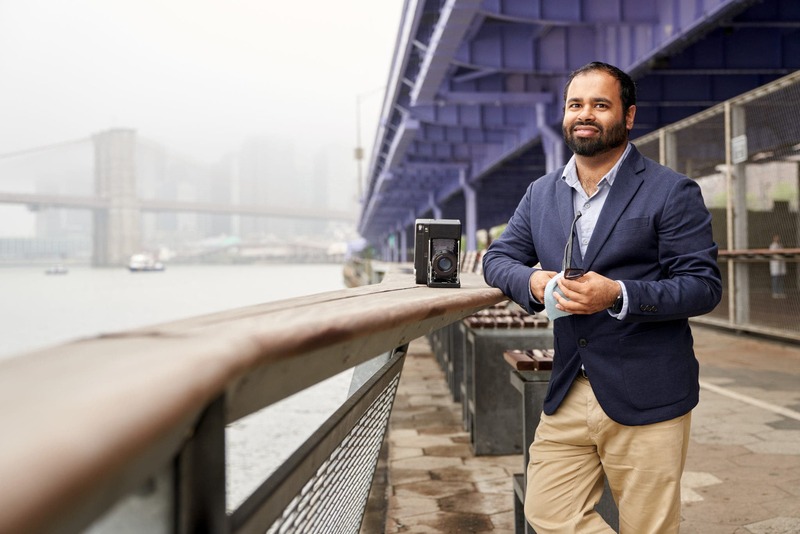 While some companies try to do this through coatings, Canon has opted for a whole new lens element designed to tackle this issue. The lens features two aspherical element and one UD glass element in a 14 elements but 11 group optical formula. It can focus as close as 11 inches and when it hits the shelves, it will cost you $1,799. 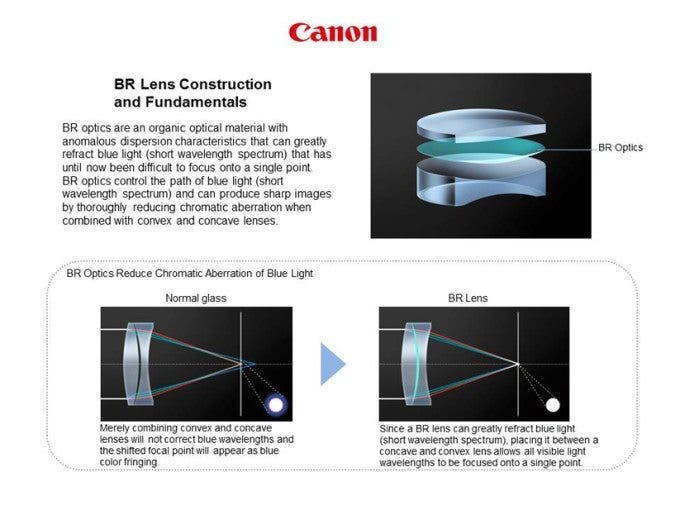 “The new Canon-developed BR optical element offers characteristics that significantly refract blue light, which lies within the short-wavelength range, to achieve impressive levels of chromatic aberration correction for outstanding imaging performance. The BR optical element, positioned between two glass lens elements to create a BR lens, will make its debut in the new EF 35mm f/1.4L II USM wide-angle fixed-focal-length lens, which is scheduled to go on sale in October 2015. 24.2 Megapixel APS-C Canon CMOS Sensor, with a sensitivity range from ISO 100 to 12,800 (expandable to 25,600 in H mode) paired with Canon’s proprietary DIGIC 6 Image Processor to capture high-resolution photos and Full HD videos with brilliant color and stunning detail. 49-Point Hybrid CMOS AF III Autofocus System for fast and accurate autofocusing of stills and videos, up to 6.1x faster than the original EOS M.
Front and Rear control dials for full manual operation and customizable functions as well as improved ease of use. Intuitive Touch Screen0-inch tilt-type (180 degrees up/45 degrees down) ClearView II LCD screen (approximately 1,040,000 dots), perfect for quick focusing and shooting, easy menu navigation, and simple viewing of images and videos. Built-in Wi-Fi®** and NFC*** for streamlined photo sharing and wireless remote control. Canon’s EOS M3 Digital Camera is scheduled to be available in early October 2015 for an estimated retail price of $679.99. An EOS M3 EF-M 18-55mm IS STM lens kit will be available in the customer’s choice of black or white for an estimated retail price of $799.99. 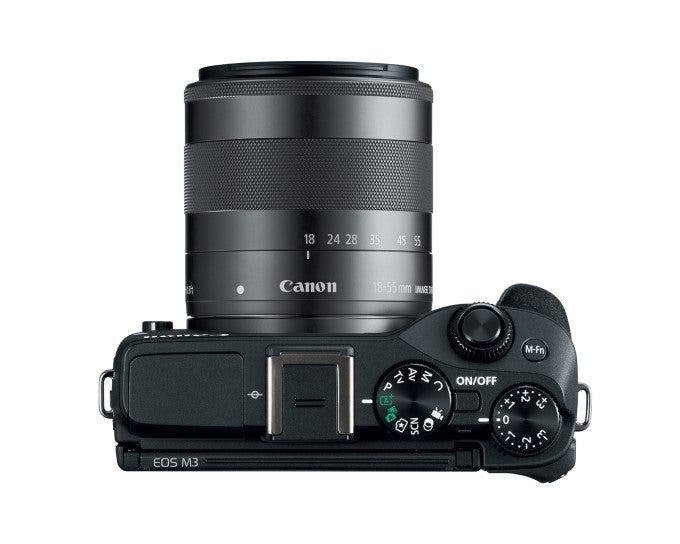 Additionally, a two lens kit featuring the EOS M3 digital camera with the EF-M 18-55mm IS STM lens and the EF-M 55-200mm IS STM lens will be available for an estimated retail price of $1,049.00.